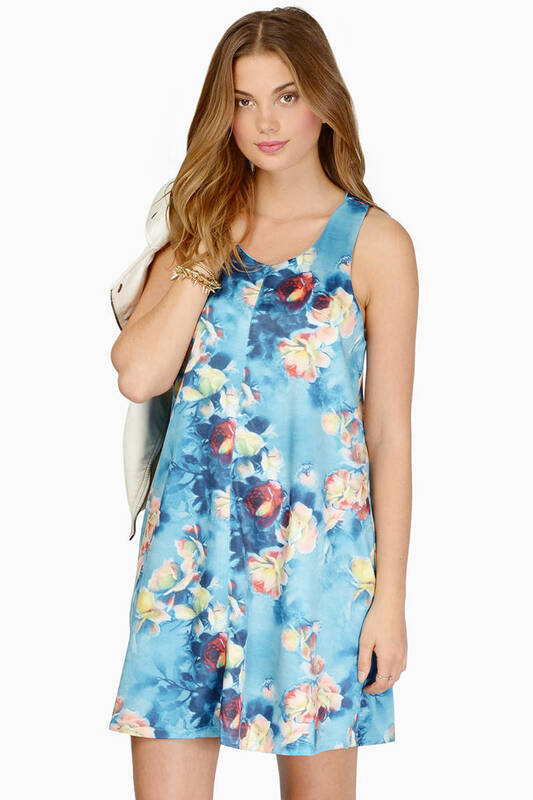 Check out Tobi's Floral Fields Shift Dress Vivid florals make a splash in the Blue Floral Fields Shift Dress. With a scoop neck and racer back, this sleeveless dress has a cute swing silhouette for all your good times. We love this watercolor print dress with a wedge heel for casual parties this fall. 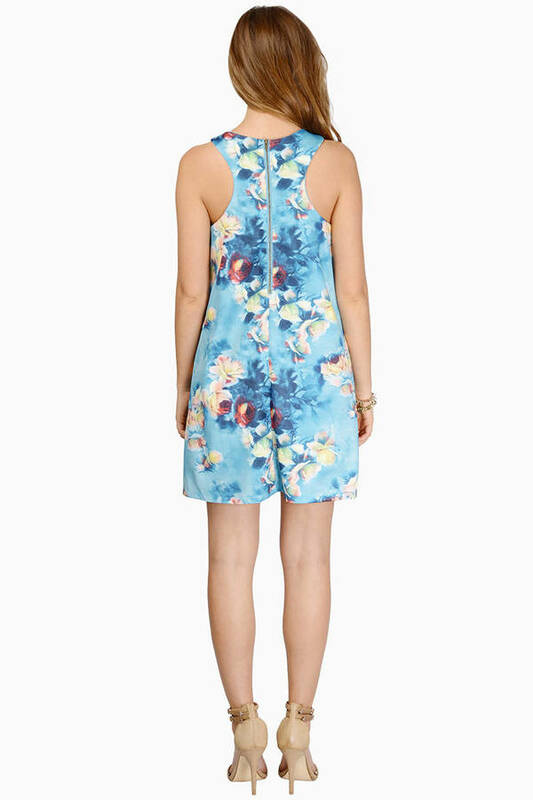 Vivid florals make a splash in the Blue Floral Fields Shift Dress. With a scoop neck and racer back, this sleeveless dress has a cute swing silhouette for all your good times. We love this watercolor print dress with a wedge heel for casual parties this fall.